One of the first recipes posted here, Lebanese turnip pickles, or lift, are always on the table as a piquant addition to Lebanese breakfast, lunch, or dinner. 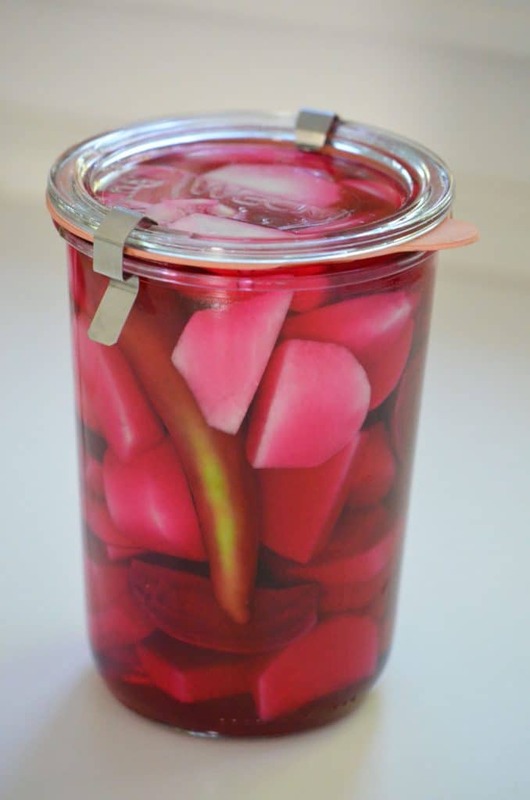 Lebanese turnip pickles are very simple to make and can be adjusted to suit your taste–spicy, garlicky, or not! The Abood sisters, my aunts, had talents. Helen sang like a star, Hilda cooked like magic. When their mother died, Hilda seized her tasks like a women who had finally found her mission in life. She would go into the kitchen and heal the family of its loss, and in return would find an essential aspect of her identity. I remember a few years ago when she called everyone over for a meal, to give comfort to her brother, my Uncle Fred. He had recently learned he had cancer of the esophagus, a terrible irony for a man who loved food as he did. Aunt Hilda set her defenses against the menace of death as it hovered over the family: prayer and cooking. 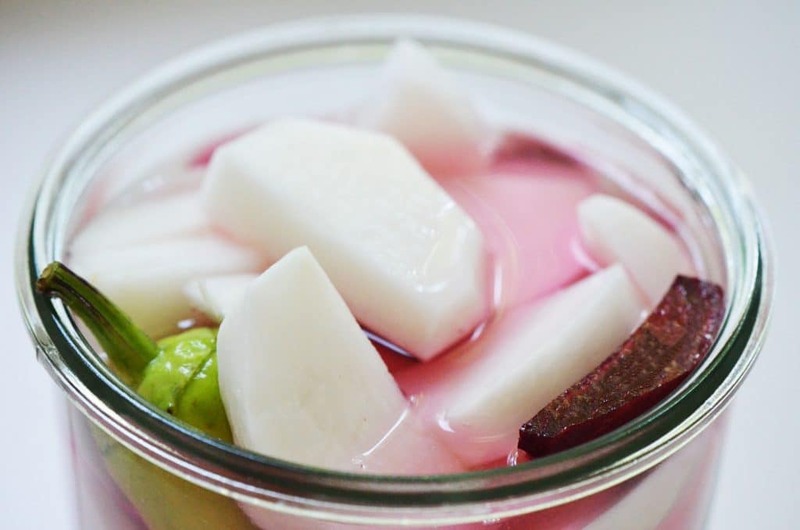 She began preparing the dinner three days ahead, making the laban and pickling the lift, Lebanese pink turnips. The shocking pink lift, achieved by a red beet slipped into the jar, calls to mind sugar flowers on a birthday cake, pink bubble gum, or some other unnatural sweet. But these crunchy pickles are strong and piquant beneath their sweet-seeming technicolor, certainly a surprise to an unsuspecting eater. Lift is like the Lebanese themselves, typically well-dressed in unabashed style, and underneath: Strength. Edge. And always, piquant humor. Aunt Hilda’s menu that night included so many dishes that they couldn’t all fit on the table and sideboard. She rolled one hundred grape leaves cooked with lemon and butter over pork neck bones, roasted two chickens and made four cups of rice for hushwi, sautéed two pounds of ground beef for housee, kneaded four and a half pounds of specially ground beef for kibbee nayeh and sanee. There were bowls of romaine with lemon and oil, laban with mint and cucumbers, thickened labne with olive oil, mashed potatoes, green beans with caramelized onion and toasted almonds, relishes of olives, radishes, peppers. The table was set with Aunt Hilda’s good white and gold wedding china. Her house was spotless, her furniture elegant, everything from carpet to couches in white. When people arrived, they came in through the garage door, whose vantage point allowed Aunt Hilda to greet and farewell everyone with love as only she could–and from the moment they stepped out of their cars in her driveway. “You’re so delicious,” she greeted me, “I could eat you without salt.” Each one of us thought we were her favorite. The men walked through the kitchen and made a little plate of grape leaves to take into the family room for an appetizer, where they turned on the football game. Aunt Hilda took them glasses of ice water. Whenever anyone arrives at the house of an Abood, they are offered, or just handed, a glass of ice water. Most people were nearly finished before Aunt Hilda landed in her chair and the food was passed to her. She looked around to see who had eaten what, and asked each one to eat whatever was missing from their plate or to take more of whatever had been finished on the plate already. When I declined the mashed potatoes, she tsked her tongue and said she knew they weren’t hot enough, that nothing was hot enough because she’d cooked it all too early. How could I have forgotten the cardinal rule of eating with Aunt Hilda? Always take some of everything, whether you want it or not. The men headed back to the family room, saying, “Hilda, you’ve done it again.” She denied the compliments radiantly, savoring the response to her herculean effort. These are simple refrigerator pickles that gain zest, character and crunch over time. Aunt Hilda loved hers spicy with plenty of garlic. Select turnips that are heavy and hard, the smaller the better. Lift should last a month or so refrigerated. The pickles are delicious on their own or alongside a sandwich, a hummus or babaganouj plate with bread, or shawarma—or served with olives and cocktails. In a small bowl, combine the vinegar, water, and salt to make a brine. Let the mixture sit for a few minutes, stirring occasionally until the salt is dissolved. 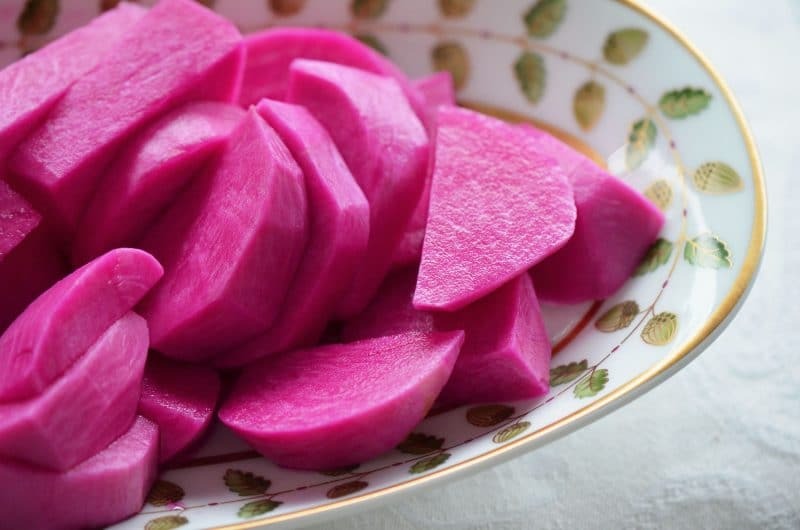 Cut the turnips and beet in half from top to bottom, and then into 1/2-inch thick wedges. Pierce the jalapeno with a knife for mild heat, or cut it in half lengthwise to expose the seeds and ribs for more heat. 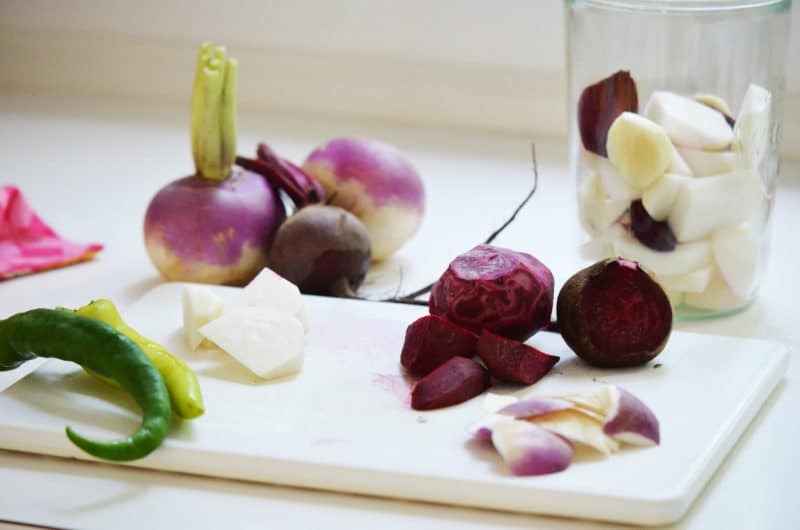 Pack the turnips and beets into a quart jar layered with the garlic cloves, tucking in the hot pepper next to the glass as you go (it's pretty that way). Top with hot pepper flakes (if using instead of the jalapeno) and the pickling spice. Pour the brine into the jar, leaving about 1/2-inch headspace. Top the jar with a lid and refrigerate for at least 3 days and up to a couple of months, shaking the jar occasionally at first to distribute the pink hue of the beet. 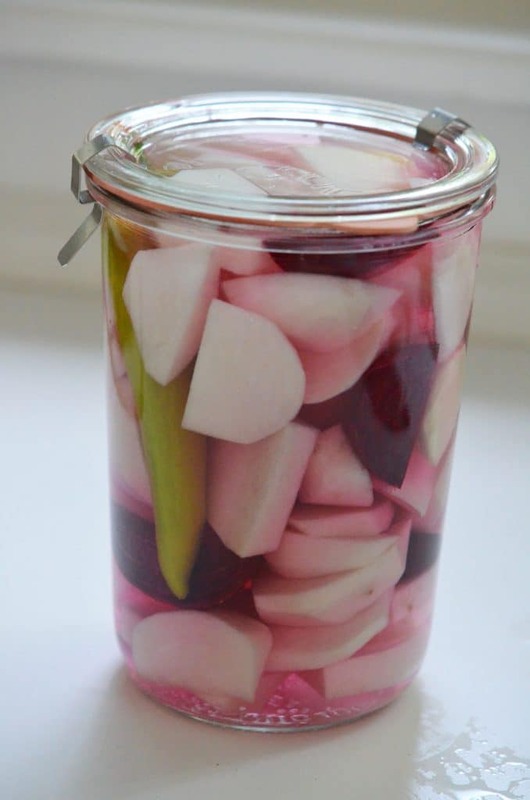 34 Responses to "Pickled Turnips, and an introduction to Aunt Hilda"
these look fabulous – I will have to try them! Maureen- Mary turned me on to your blog & I have to admit, I wait anxiously for it to arrive in my inbox. Thanks for drawing me in! Maybe I’ll even try a recipe or two 😉 My best to you and Peg. Please tell her hello for me! Great to hear from you Linda!! Thank you for reading and hope you are all doing well…and I hope our paths cross again someday soon! Aunt Hilda has such life, such an ability to strengthen the family through her spirit and her food. She’s one of my favorite members of your written family. The pickled turnips look great, Maureen. I was smiling reading this story because it seemed so familiar to me; so many Lebanese family have an aunt Hilda; her name is so evocative of traditional lebanese families, with food food aplenty and lots of relatives and conviviality. 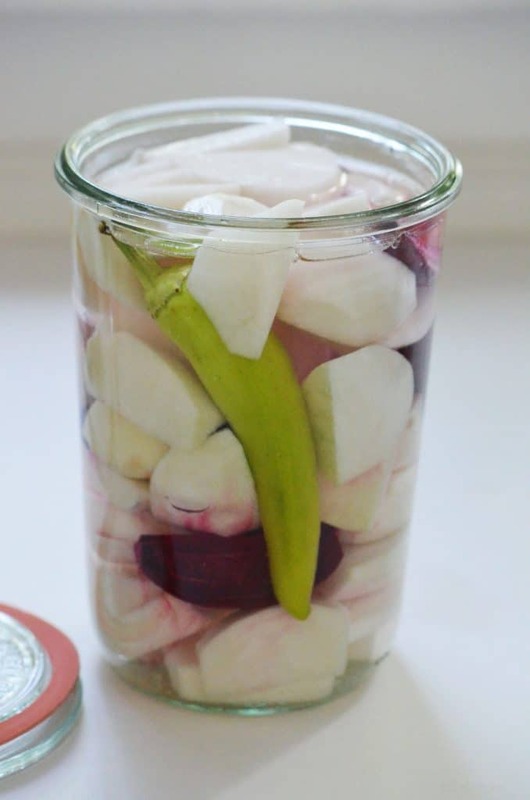 I love pickled turnips and need to make some! Yours are my style too, with garlic and chili both! Rachel, thank you for your words and I am so glad to hear those wonderful ways to deepen the flavor of the coosa and its tomato sauce! I can’t tell you how happy I am that you are writing this blog. On those earlier occasions when I’d read something you’d written, I was always blown away. Now you’re really going for it, and we are all the beneficiaries. You rock, Sofia! Thank you thank you…. I agree with all those posts….and sad it is on one hand because we miss Hilda soooo much, and joyous that we know she is dining with her brothers and sister and my mom…..Mom and Hilda got along famously. I hope you realize that it is not only the food that whets our palettes, but the stories of home and beyond. Janet, I couldn’t agree more. Aunt Hilda, your mom, all of our beloveds, they are blessed with peace in heaven. I remember how much Aunt Hilda loved your mother. I love fresh turnips but only fix them one way and that is boiled and mashed like mashed potatoes. I am happy to see turnips enjoyed a different way. I can’t wait to try this recipe. Thanks so much for all your wonderful stories and recipes. Thank you John! Your name intrigues me because my mother has relatives with that same last name from Ohio, U.S. For the turnips, that’s 4 teaspoons salt–enjoy your lifft! That is wonderful Brian, thank you so much! We ate ALL of our first batch this past week; making more today (just can’t get enough!)! What a beautiful blog. I’m glad I found it. I look forward to hearing more about your family and food. 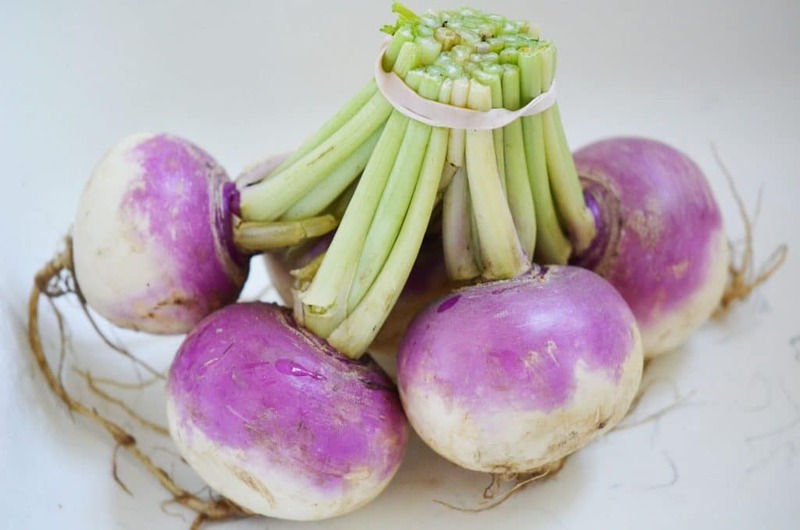 i would like to discover your blog just found it as i was looking for turnips recipe! This is such a wonderful post! In my family, food is the the main way we express love and affection, and this is such a beautiful example of that. Ahhh Elaine, that is what it’s all about, isn’t it. Thank you for your kind, kind words. memories your words and pis always evoke! What was your mother’s name, Diane? I imagine her as a sheer force of a woman on many levels! Emily, cousin, you and your family are often in my thoughts. It is so good to hear from you and to know that, as for all of us, our Lebanese kitchen ties us to those we love and miss so dearly. When I started walking to Kindergarten, Mom allowed me to visit my best friend who lived around the block after school. Lisa’s family was Lebanese and I always felt warmed by the open affection in their home. I was a skinny child, so of course they offered me wonderful food every time I visited. Your story about Aunt Hilda reminds me of those happy times I spent with them. I got a late start planting this year, so my garden has turnips, beets, and banana peppers ready to harvest right now…Time to introduce my family to these. My Nephew is having a party to celebrate the 1st birthday of his long awaited daughter(after 3 boys)…The perfect occasion! The boys love all my other pickle recipes. Pat, great memories! And it’s so nice to hear you are hoping to share Lebanese cuisine with your family and to celebrate baby girl! I found this recipe after searching for something to do with some baby turnips I received. I’m glad I made them; they were delicious! Thanks for the recipe! I grew up in Damas, n i loved all our pickles, lift n especially makdous. I have an american restaurant in the vail co. area. I have a tapa/ mezze menu at the bar. Your taunts recipe is the basis for my lift. Of all the recipes i researched on line yours was the best, so i copied it and now serve it in my restaurant. Thank you for shareing it n thank you for the beautifully well written story that came with it. You write beautifully, thank you. Perhaps I missed the info, but how much jar space do I need for the quantity of turnips/beets in your recipe (oops! Aunt Hilda’s recipe)? I don’t have pickling jars, so I have to go buy them. But, I don’t know what kind to buy, how many I should buy, and what size they should be. Apologies for my ignorance (I’m a pickling newbie!). Hi David–great questions. I use a wide variety of jar sizes (whatever I have on hand) and I don’t worry too much about whether I fill the jar or not if it’s a larger jar. That said, this recipe is for one quart jar using just over a pound of turnips. You can easily scale up and make more at one time in several jars. Leave about 1/2-inch headspace. Also note that these are refrigerator pickles, not processed for shelf life. Let me know any other questions whatsoever! I’m happy you’re doing this!